Along side all the toys and gadgets that we've been reviewing on The Test Pit, we've also dipped our reviewing eyes over the past six years toward clothing. 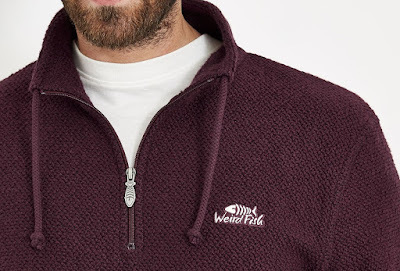 If there has been one clothing brand that has snagged our attention time and time again, no matter the season, it has to be Weird Fish. 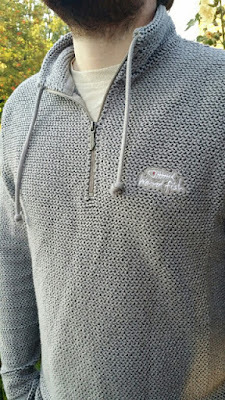 The British company has been supplying us with all manner of goodies over the years and we've loved every one... especially their signature Macaroni sweatshirts. And so, when a brand new Macaroni arrived, sent to celebrate Weird Fish's 25th anniversary, we decided to take a closer look. First of all, big congrats to all at Weird Fish for hitting the big 2-5. 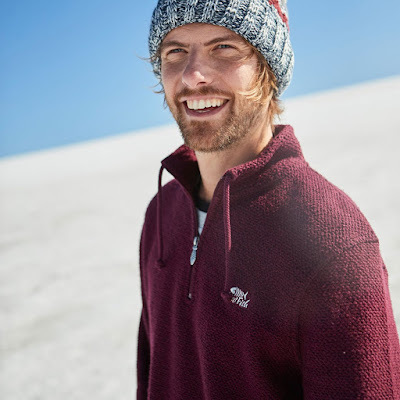 Even in the short time that we've been aware of them, it's apparent that the company is doing well, providing decent clothing that doesn't wreck your bank account. We first checked them out in the summer 2015, sampling their printed artist t-shirts, dresses, and Macaronis. Since then they've popped up regularly in our clothing features, especially in autumn when the enveloping warmth of the sweaters is more than welcome. To help us get in the mood for celebrating Weird Fish's birthday, they kindly popped a brand new Macaroni in the post to us, a Cruiser 1/4 Zip Classic Macaroni, very appropriately in Mulled Wine colour. It's the fourth or possibly the fifth Macaroni we've reviewed, and reminded us of just how damn versatile and comfortable they are, as well as hard wearing. 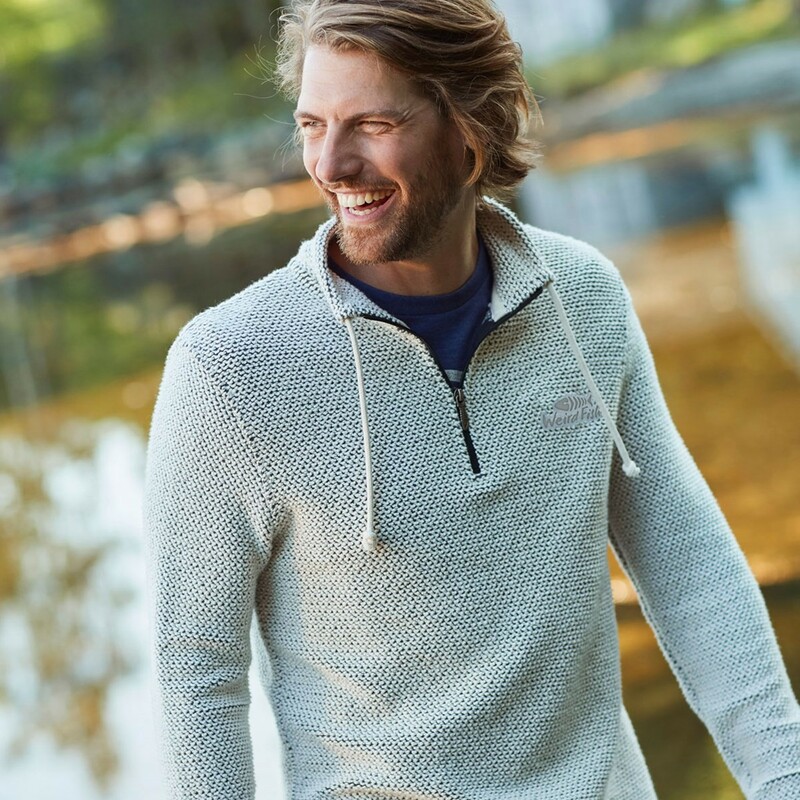 The original sweatshirt we received for that first feature in 2015 has experienced some very heavy wear, acting as both top layer on chilly days and as emergency-jumper-stuffed-in-bag on unpredictable days. However, despite all that battering and dozens and dozens of washes, it still looks and feels brand new. The Macaroni's tough and unique construction seems to resist wear and damage and has lasted far longer than other items of clothing we've tested. All this bodes well for our new Cruiser, which has been re-released in the most classic and iconic style to tie-in with the birthday. It uses the same bobble-y fabric with a 1/4 length zip on the front, complete with metal Weird Fish logo. There are splits on the side of the hem to keep it comfortable and loose, a cord drawstring built into the collar, and an embroidered logo in the breast. The choice of colours for the re-release are also great, and as well as the very festive Mulled Wine that we were sent, you can get charcoal, ensign blue, black iris, dark red, and ecru (which is a kind of beige, apparently). As they can be worn at all times of year, as a jumper or outer layer in the autumn or winter, or as back-up during the summer, we could imagine buying a couple in different colours to mix it up. We can say with a lot of confidence that Weird Fish will still be here in another 25 years, and that they'll still be selling the classic Macaroni. And that makes us happy.